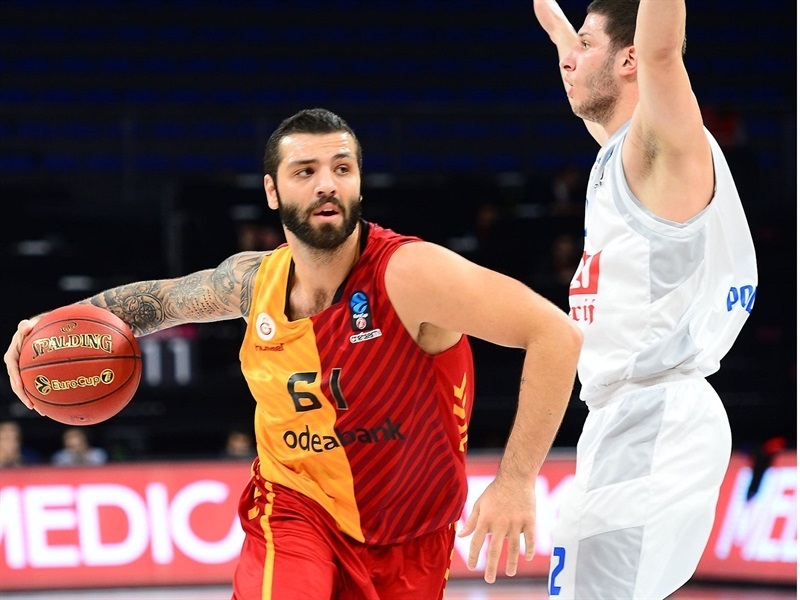 Galatasaray Odeabank Istanbul climbed back into the Top 16 picture with an 82-61 blowout victory over Buducnost VOLI Podgorica on Tuesday at Sinan Erdem Dome. 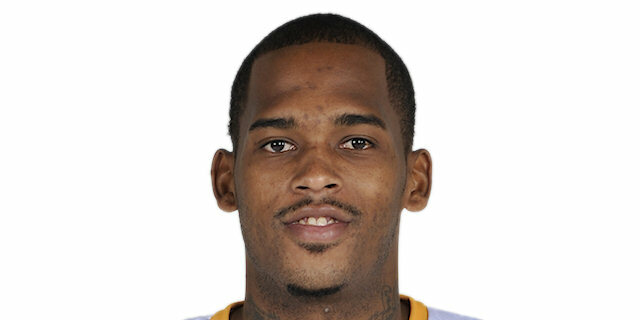 Dwight Hardy made 6 of 7 three-point shots and finished with 22 points for Galatasaray, which won back-to-back games for the first time this season and improved to 3-5 in Group B. 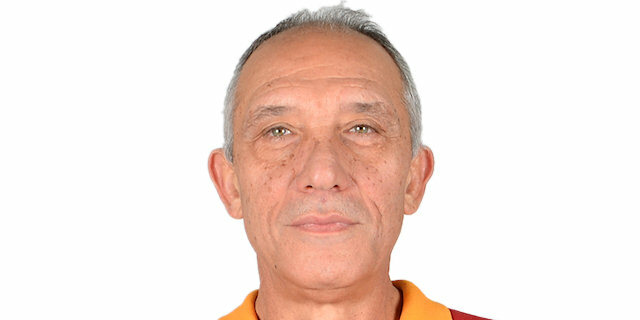 The large margin of victory also gave Galatasaray the potential tiebreak advantage over Buducnost, which won their Round 3 clash by 9. Scotty Hopson and Jordan Taylor added 14 points apiece for the winners, Richard Hendrix scored 10 and Alex Renfroe tallied 8 points, 6 rebounds and a club record 7 steals, while Emir Preldzic tied a team mark with 10 assists. Aleksa Ilic led Buducnost with 13 points and 8 rebounds and Kyle Gibson added 10. Buducnost, which would have secured a Top 16 berth with a victory, fell to 4-4. 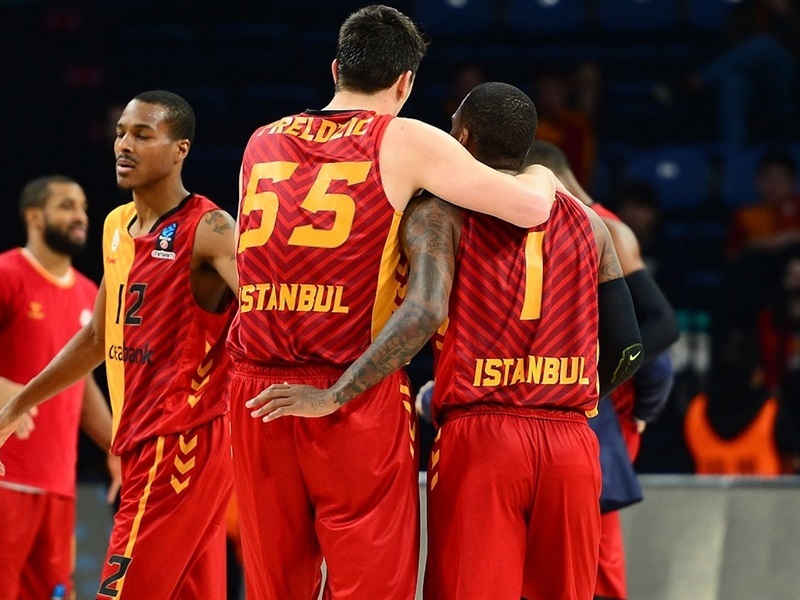 Galatasaray looked great early and soared to a 14-4 lead on back-to-back threes by Hardy and Hopson. Nemanja Gordic and Gibson each hit from deep to try to rally the visitors, but Renfroe and Hardy had responses. Sead Sehovic could only close the gap to 22-14 at the end of the first quarter. 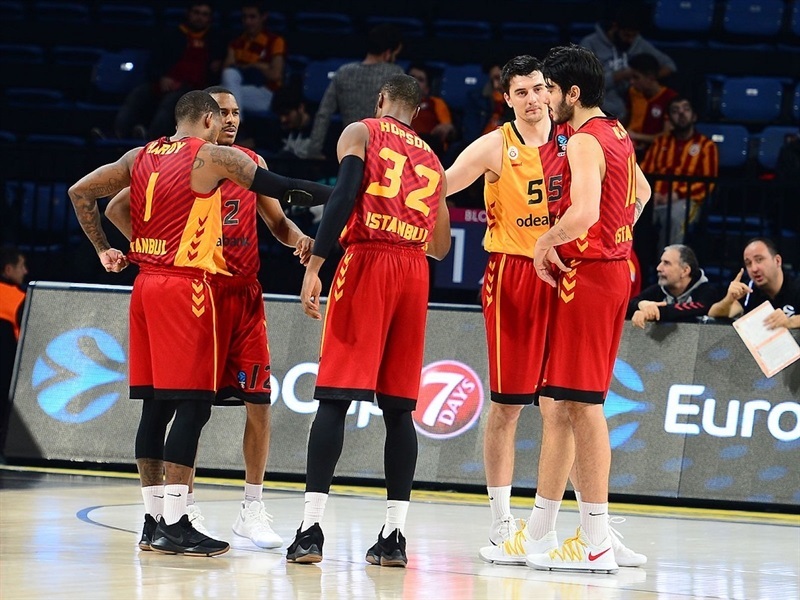 A Taylor triple extended the Galatasaray advantage to 11 at the start of the second quarter, however Kyle Landry heated up with the next 8 Buducnost points and after Zoran Nikolic’s jumper, the scoreboard showed 27-24. 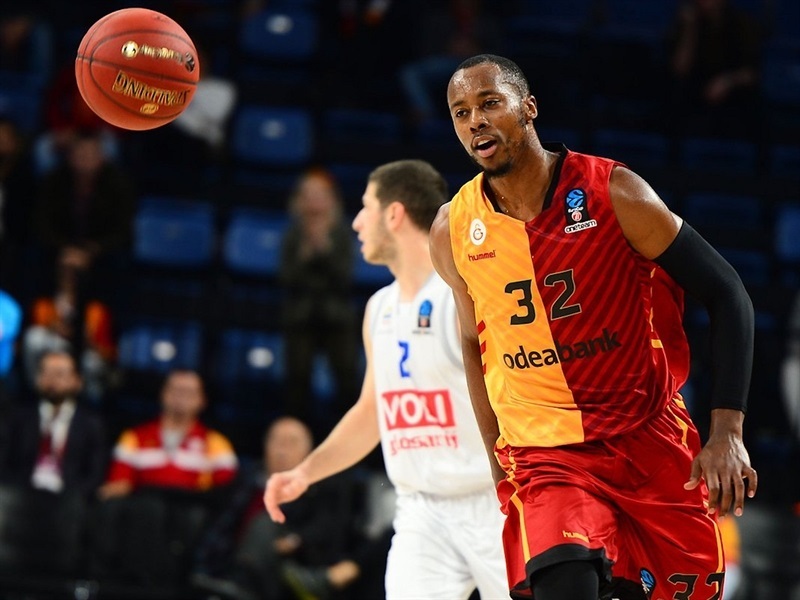 Hendrix and Taylor helped keep Galatasaray in control and ever stretch the margin to 13. Ilic and Ivanovic chiseled the visitors’ deficit to 41-34 at the break. Hardy and Hopson made sure the hosts had a comfortable lead a few minutes into the second half. Renfroe’s second three made it 56-41 midway through the third quarter. Buducnost stayed cold and finished the quarter with just 11 points, while back-to-back Hardy triples gave him 5 for the game and gave Galatasaray a 64-45 lead heading into the fourth. Hendrix pushed the margin into the 20s with the first basket of the fourth. Petar Popovic and Ilic helped get Buducnost within 70-54, but Hardy nailed another three in a 7-0 Galatasaray response and the visitors never threatened again. "I think we came out from the beginning and played hard at both ends of the court, got a good lead. We came out for the second half with the same energy. Everybody is having fun playing together and that makes the game easier and easier to win. "